Fans have been shook at the prices of Drew House, his beige Yeezy-esque label. Justin Bieber has been a busy boy. Although the news would have us believe that the singer has just been enjoying newlywed life, it turns out he’s also been occupied launching his own clothing line: Drew House. We started receiving teasers back in November, in addition to the singer casually debuting his creations here and there, but now, we’ve been privy to a full look via the label’s Instagram. First things first: it’s pretty much an all-beige parade (yes, very Yeezy season 2), with the lookbook showcasing skate-inspired streetwear: jersey and corduroy boilersuits, trousers, shirting and more casual staples, as well as sweatshirts emblazoned with the brand’s distinctive yellow smiley face logo. The website reads: “drew house is a place where you can be yourself. wear like you don’t care. come chill. k. bye.” How have Beliebers taken to the news? Widespread outrage – but only directed at the steep prices detailed on the brand’s website. Is it too late now to say sorry to our bank accounts? 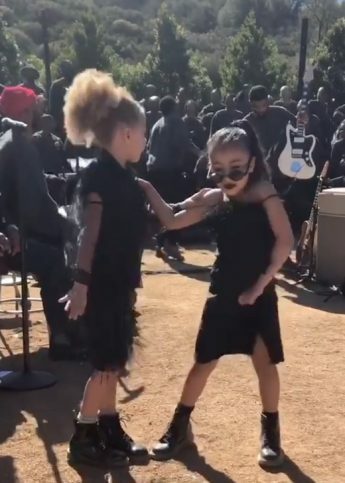 Including her dance moves at Kanye West's Sunday Service, here are all of the North West's best moments. It looks like Ariana Grande has plans for a thank u, next beauty line.